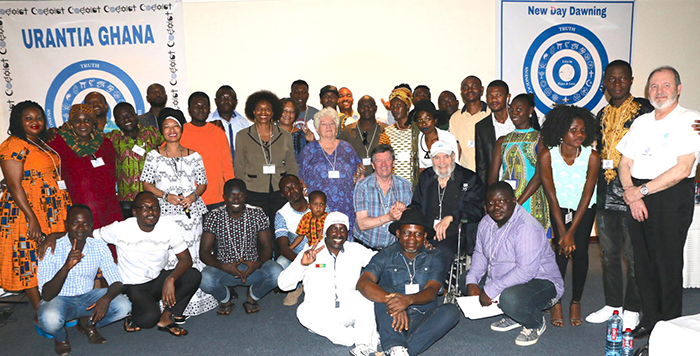 Recently in Accra, Ghana, Pato Banton, Antoinette “Rootsdawtah” Hall, and Urantia Association International (UAI) joined forces with the Urantia Book readership in Ghana for a beautiful, international gathering and conference at the Accra City Hotel in the heart of Accra, the capital city of Ghana. In attendance were brethren from France, Nigeria, Cameroon, Ivory Coast, the United Kingdom, and the United States. There was a beautiful array of people from various religious backgrounds in attendance. There were Christians, Muslims, Pranic healers, voodoo practitioners, traditional believers, people from the Etherean Mission, light workers, and students of The Urantia Book. There was an early call-out for online registration, and a little over 100 people registered to participate in the event. However, only 44 people turned up. Music performances from various artists in between talks maintained high vibrant frequencies throughout the event. All participants left the conference grounds in high spirits on both days of the event. The night before the main event, Friday, February 10, 2017, after Pato and Antoinette had been on a live TV3 Network broadcast to publicize the event, registered people were invited to the hotel so we could meet and greet one another and, most importantly, answer any questions new readers had about The Urantia Book. This was beautifully carried out around a round table in the hotel lounge. Among the questions, a young man asked, “What does The Urantia Book teach about how one builds his or her faith or grows spiritually?“ Satisfactory answers were given, most of which bordered around loving service to our brethren. 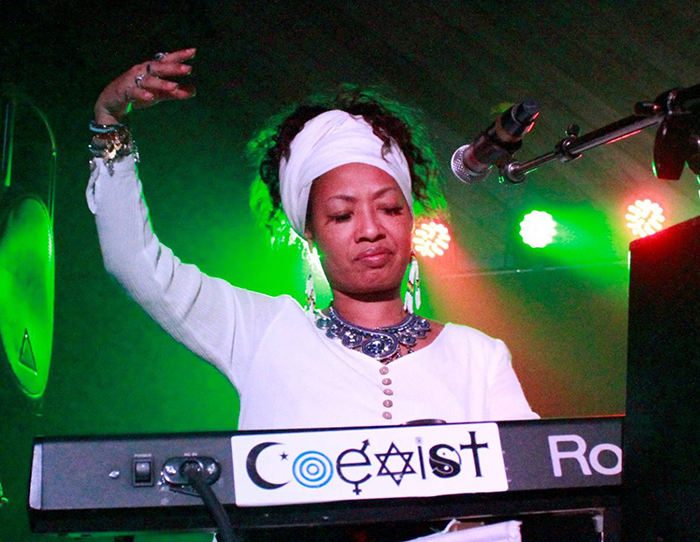 The main event started at approximately noon on the following day, February 11, with beautiful music from Antoinette “Rootsdawtah” Hall. 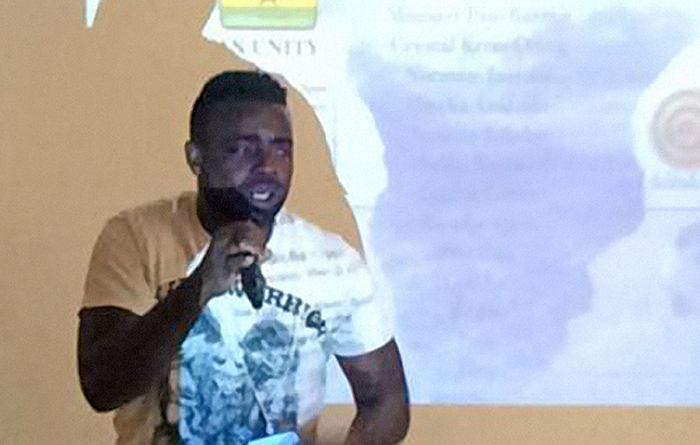 Pato warmly welcomed everyone and said the opening prayer. The first talk was given by Norman Ingram from the United States on “Early Seeding in Africa.” In this talk, he spoke about his early experiences in Africa introducing The Urantia Book to the African people. Norman has been to almost every country in Africa! The extensive nature of his travels around the world to do outreach and propagate The Urantia Book and its teachings really impressed everyone. 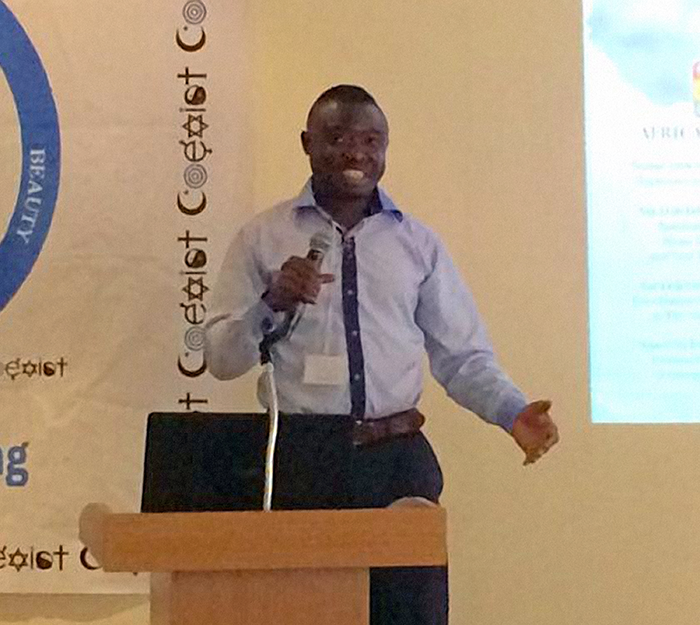 Emeka Anazodo from Nigeria immediately followed with a powerful talk on “Friendship.” Oh, what a talk it was! He cited Jesus' friendly nature as a good example for us all to emulate as spiritual people. If even God wants to be friends with mortals, the least of His created intelligent beings, then mortals should discern the great importance and value of friendship as a stimulus for universe growth. 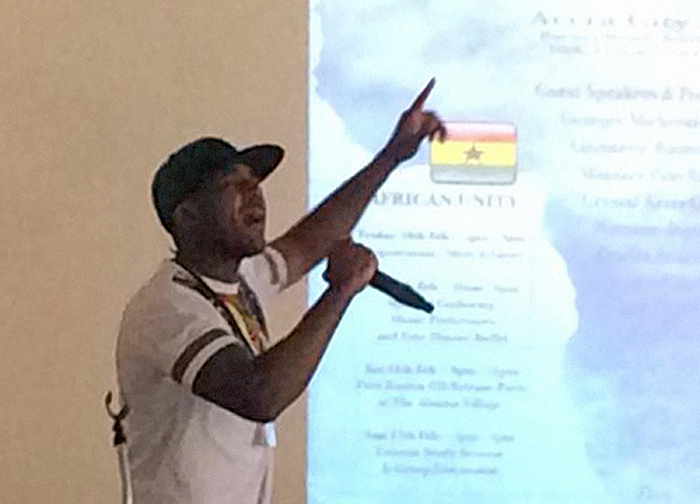 A musical interlude followed Emeka's talk by Cutch-i, a rising reggae artist from Birmingham, United Kingdom. He performed two songs, one entitled “Too Deep” and the other, “Calling.” Awesome talent! For we’re all believers. Believers of our very existence; whether created or self-caused, one thing which is undeniable is our existence, our essence. After all is said and done, whether religious concepts were right or not, whether science was right or not, whether philosophy was right or not, whether we were right or not, one thing that remains is—US! And the power and reality of our existence is that we’re not just conscious that we do actually exist, but we dare to question its meaning. Could there be any more meaning to our existence than to find out the meaning of existence—to come up with the meaning ourselves? Maybe there is a meaning! And if we get to know what that meaning is, would man, would we, find a justification for it? Would we accept it? Would we find our own meanings? And would we feel we can find the meaning ourselves? We all look forward to finding answers to these questions—answers which will give us a sense of fulfillment in life. KriXy, a talented gospel musical artist and rapper in Ghana finished off the first half with a beautiful song and performance titled “Where We Belong.” Awesome music! The second half of the program commenced with a soothing musical piece from Antoinette to welcome everyone back from lunch, interactions, and socializing. The whole atmosphere was charged with such brotherliness and love irrespective of our varying backgrounds. Spiritual unity is really an achievable feat considering what happened at this conference. 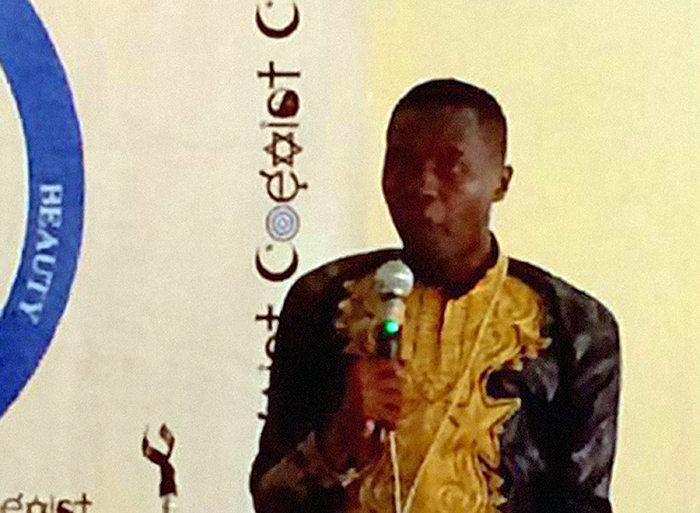 Georges Michelson-Dupont from France and Guy Stephane Nyasse from Cameroon represented the Urantia Book Internet School (UBIS) at the conference. Georges shed more light on what UBIS is and what they do. He encouraged old and new students of The Urantia Book to partake in UBIS activities, as it would benefit them in enhancing their understanding of the book and meeting new reader friends online. 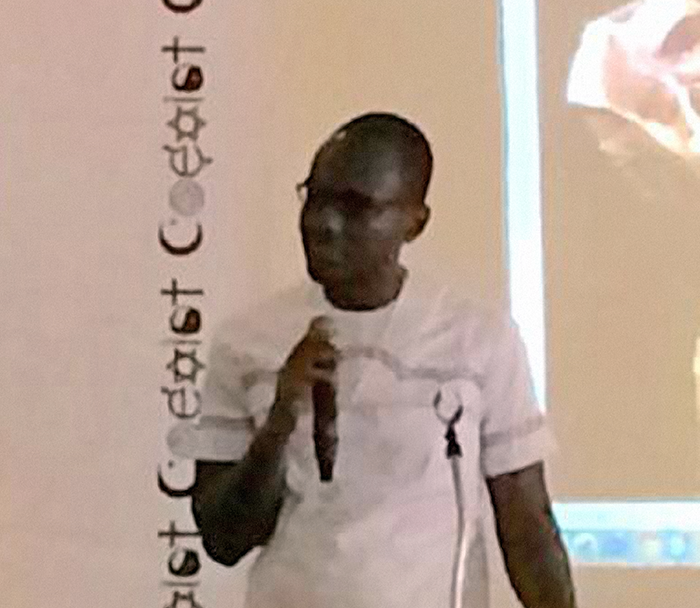 With the help of Pato, he recited a beautiful narrative about a lady's experience with UBIS. Awana, a Muslim musical artist, briefly performed a nice single after the talk. 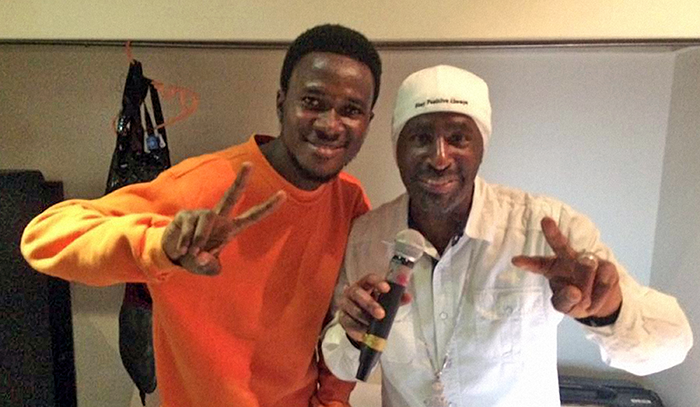 I, your correspondent, Kwadjo SPiRi, Ghanaian musical artist and one of the leaders of the Urantia movement in Ghana, performed my track “Light Up the One Love” featuring the legendary Pato Banton and his partner Antoinette Rootsdawtah. 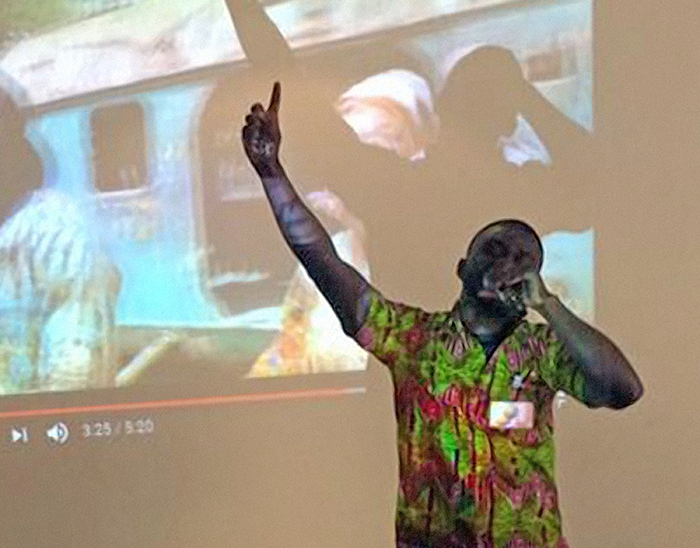 A video for this song was shot in Ghana last year when Pato and Antoinette last came around to organize a spiritual conference in the capital. The room was lighted with love and dancing as the song was performed. The energy in the room once again reached a peak! To see the video for this song, visit https://m.youtube.com/watch?v=854PyjoL5kw . After this performance, I gave a talk on “The Spiritual Journey” where I shared my personal experiences on my spiritual walk, supported heavily with quotes from The Urantia Book and delivered in a very practical manner. After this talk, I was approached by many, even among the participating Muslims, about how they're experiencing similar things on their religious paths—proving that, irrespective of our religious backgrounds or books of engagement, we can meet on common spiritual platforms when we allow experience to be the common denominator, for the God of the universe ministers to us all, irrespective. Antoinette gave an awesome speech afterwards on “Coexisting in African Unity.” She touched a lot on spiritual unity. She has many times proposed Ghana as the hub or center for all Urantia activities in Africa. Pato and Antoinette crowned the next space with a great musical interlude. The song title was “Love Is the Greatest,” a very infectious song which got us all singing along easily and beautifully. 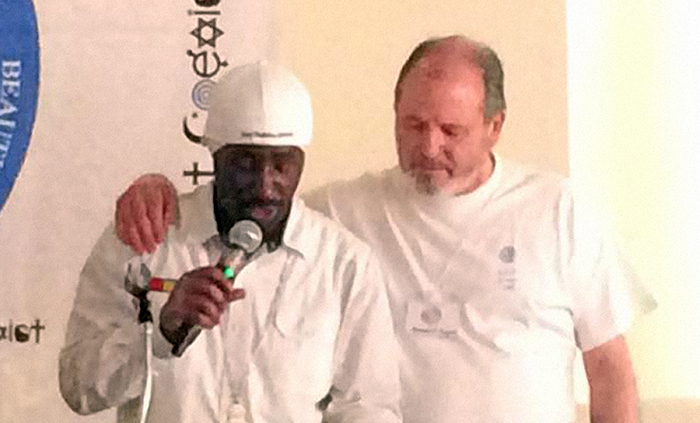 Pato masterfully rounded up all talks and performances with his talk on “Urantia Africa.” As he always does, he admonished everyone to strive to live righteously within our chosen paths of worship or religion. The Muslim should strive to be the best and most righteous Muslim; likewise Christians, voodoos, etc. We should all seek a better understanding of the will of God and endeavor to abide by this will in life. Many other uplifting things did Pato say, as did the other speakers. There was a prayer circle after Pato's talk. Group and individual pictures were taken, and everyone naturally swung into the mood of socializing. That was a day indeed! A good day! The following evening, Sunday, February 12, was dedicated to study of The Urantia Book with Pato as host. The theme for the study was “Spiritual Unity.” We read from Paper 141, section 5. It was a very interactive study, as almost everyone contributed to the discussion. There was a buffet afterwards, and more socializing, and indeed our mission was accomplished!